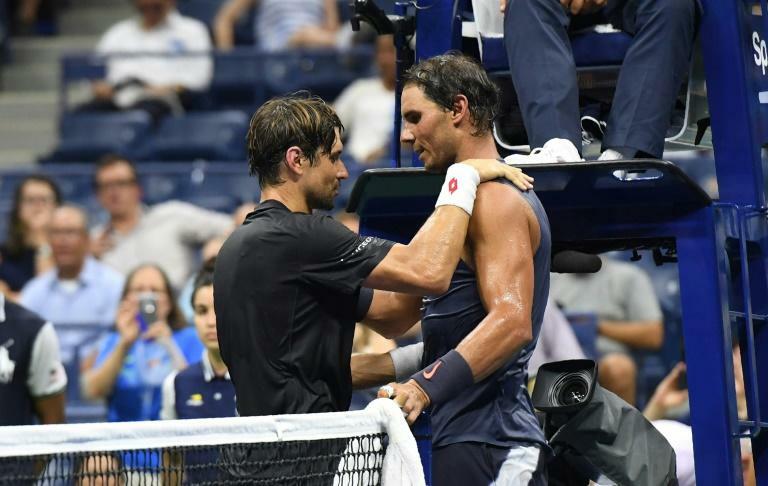 -- After 63 majors since 2003, David Ferrer's last Grand Slam appearance ended in a heartbreaking injury retirement against old friend Rafael Nadal on Arthur Ashe Stadium. But the former world number three, who will play his last match in Madrid next year, left with no regrets. "It was special because I finish my last Grand Slam playing in the centre court with Rafael, a very good friend," said the man affectionately known as the 'Bulldozer'. Former world number three Ferrer, now ranked at 148, was runner-up to Nadal at the 2013 French Open. -- As temperatures soared to 38 degrees (100 farenheit), with the heat made worse by suffocating humidity, players and fans wilted. "I had heat stroke. I was not going to die on the court, tennis is not for that," said Argentina's Leonardo Mayer after he quit his first round match. Caroline Wozniacki dreamed her way out of the heat. "I'm just thinking I'm on the beach, I have a margarita in hand, life is good," she said. 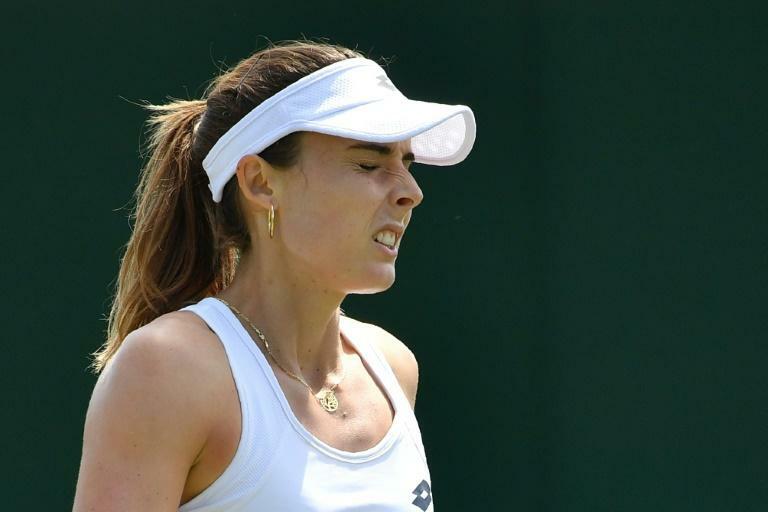 -- French player Alize Cornet's decision to change her shirt on court led to a code violation for her and accusations of sexism for the tournament. In Tuesday's furnace, Cornet returned from a heat break only to realise her shirt was on back-to-front. Her decision to slip it off on court resulted in a code violation for "unsportsmanlike conduct". 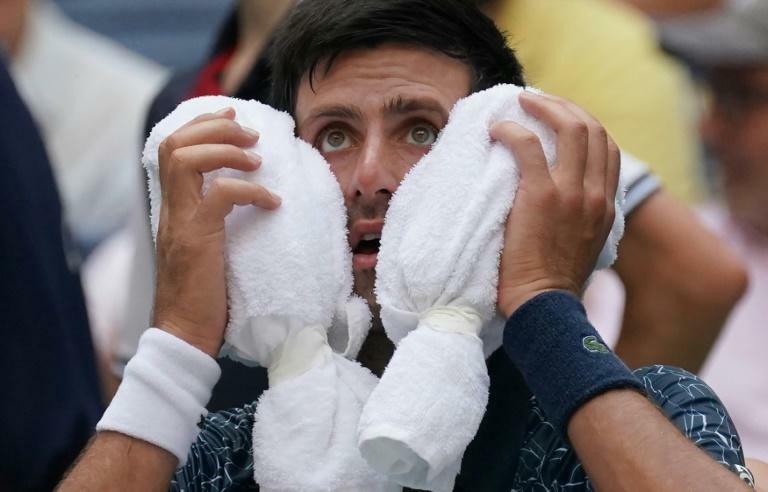 On Wednesday, US Open chiefs were lambasted over the decision especially when, all around the grounds, male players were merrily removing their soaking wet shirts. Cornet played down the incident saying the decision by her own French federation to ban Serena Williams's Black Panther catsuit at Roland Garros was "10,000 times worse". -- Respected umpire Mohamed Lahyani, who came down from his chair to give Australia's Nick Kyrgios a controversial pep talk, "went beyond protocol" but was allowed to continue officiating. The 52-year-old Lahyani climbed off his chair on Court 17 the previous day and stood over a below-par Kyrgios who was a set and 3-0 down and sinking fast. "I want to help you," Lahyani could be heard saying as questions on an official's impartiality began to be raised. "This isn't you. I have seen your matches. You are great for tennis." Kyrgios won 19 of the next 25 games to beat Pierre-Hugues Herbert of France who said Lahyani acted like a "coach" instead of an umpire. -- Serena Williams roared through her 30th career meeting with sister Venus, booking a fourth-round berth with a 6-1, 6-2 victory. The 23-time Grand Slam champion said the match-up brought out the best tennis she has played since she came back from the birth of her daughter Olympia. -- A jaw-dropping Federer forehand around the post in a straight-sets win over Kyrgios ranks as one of his most memorable, the Swiss great said after his three-set win. "It was definitely one of the more unique ones," said Federer, who raced forward and wide on a sharply angled shot from Kyrgios, stretched and flicked a forehand around the post on Arthur Ashe Stadium. Kyrgios's eyes widened in astonishment as the ball landed in his court and could be heard opining at the ensuing changeover: "That's got to be the greatest shot in tennis." -- Marin Cilic defeated 19-year-old Australian Alex de Minaur 4-6, 3-6, 6-3, 6-4, 7-5 to reach the last 16 in the second ever latest finish at the tournament. Cilic, the 2014 champion, needed eight match points to defeat the world number 45 in a four-hour tie which ended at 2.22 local time (0622GMT), just four minutes short of the record for the latest finish in New York. "Alex played his heart out," said Cilic.